JIMI! 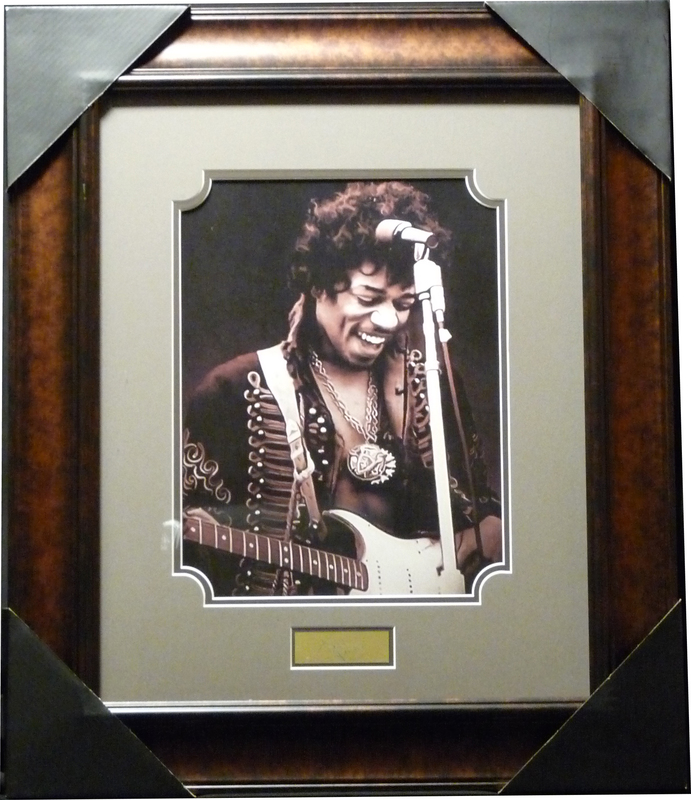 A really cool sepia toned piece featuring Mr. Hendrix in all his glory. Laser engraved signature on a gold plate, if you close your eyes, you can almost hear him playing again. This is a really cool piece for all to enjoy.